between them. This means that every member can find a better way to visit M Room. The Bronze memberships and memberships lasting less than one year have been discontinued. In their place, the Silver membership now has three different levels, and customers can choose the most suitable level for themselves. Silver Junior serves the youngest in the family (aged under 12) in a more diverse way than before, Silver Daytime is suitable for people who visit between 10am and 2pm (Mon–Thu) and Silver Business covers haircuts flexibly at any time during opening hours. The Gold Premium and Platinum All Inclusive memberships have been expanded to cover beard services and hair dyeing services in addition to hair cutting services. We have also updated the names of our memberships so they better describe the services. 2. WHAT BENEFITS WILL I RECEIVE COMPARED WITH THE PREVIOUS SYSTEM? Bronze: This membership has been replaced by the three-level Silver membership, and you can choose the most suitable version for yourself. Gold Premium*: The services offered to members include M Cut haircuts, as well as M Fade colour treatments and beard shaping. In addition, when you become a member or renew your membership, you will receive a useful welcome package. This welcome package includes M Extra Premium services for your selected membership level and product gifts of your choice. 3. WHY HAVE THE MEMBERSHIP MODELS BEEN CHANGED? We have been an expert and a pioneer in men’s hair styling for almost a decade now. In that time, our customers’ needs have changed. We want to change along with our customers. We have listened to our customers’ wishes – yours included. Our customer survey revealed a clear wish for our services to be updated to suit the varying needs of men today. By clarifying and rationalising our services and making them more efficient, we aim to offer you a faster, more comprehensive service with better quality. 4. ARE THE NEW MEMBERSHIPS BETTER THAN THE OLD ONES? * You will enjoy services and service priority in line with your membership level regardless of the country, but you will pay the local prices for services when you use them abroad and you will receive a discount corresponding to your membership level. 5. WILL I RECEIVE A GIFT WHEN I BECOME A MEMBER? In addition to our new services, you will receive a useful welcome package. This welcome package includes M Extra Premium services for your selected membership level and product gifts of your choice. 6. CAN I STILL RENEW MY OLD, EXISTING MEMBERSHIP WITH THE PREVIOUS TERMS? Your current membership is valid according to your contract and your existing membership will not be changed. When you renew your membership, the new services will take effect immediately. 7. CAN I STILL VISIT THE BARBER WITHOUT ANY LIMITATIONS? Silver Business/Junior/Daytime Club: The number of visits is suitable for you if you visit the barber every 3–6 weeks. The membership includes 16 haircuts per year. Gold Premium Club: The number of visits is suitable for you if you visit the barber every 3–5 weeks and you want Fade colour treatments and beard shaping for a year in addition to your haircuts. The membership includes 21 services per year. Platinum First Club: The number of visits is suitable for you if you visit the barber every 2–4 weeks and you want to choose any of our dyeing and beard services for a year in addition to your haircuts. In one year, you can use a total of 26 services. 8. WHY HAS THE NUMBER OF VISITS BEEN RESTRICTED? We want to improve the quality of our services and speed up availability by rationalising the number of visits depending on the membership types. This will ensure you have a better service experience, you will be served more quickly and we will be able to offer other services for your membership in addition to a haircut if you so desire. 9. HOW MUCH WILL I HAVE TO PAY IF I GO OVER THE NUMBER OF VISITS INCLUDED IN MY MEMBERSHIP? You will receive a member discount on services over the number included or services that are not included in your membership model. Silver: -15%, Gold: -20% and Platinum: -25% Haircuts are priced at €22 for all members. At all membership levels, haircuts are 25% cheaper than for one-off customers. 10. WHO IS THE SILVER DAYTIME MEMBERSHIP INTENDED FOR? The Silver Daytime membership is mainly intended for young people aged 12–16, students and our senior customers who want to visit M Room during the day on weekdays (Monday to Thursday, 10am–2pm). 11. CAN I RAISE MY MEMBERSHIP LEVEL DURING A MEMBERSHIP PERIOD? Yes, you can. * You will only pay the difference between the price of your current membership and the higher membership and you will immediately have access to the additional service capacity. * When you raise your membership level, the number of services you have used under your current membership will be taken into consideration. 12. CAN THE NEW MEMBERSHIP MODELS BE USED ABROAD? Yes.  The same services and member benefits can be used at all M Room locations around the world. You will enjoy services in line with your member level regardless of the country, but you will pay the local prices for services when you use them abroad and you will receive a discount corresponding to your member level. 13. WILL THERE BE ANY OTHER CHANGES TO MEMBERSHIPS IN THE NEAR FUTURE? We aim to continue being a pioneer. That is why we are constantly developing our services. Digitalisation is providing us with new opportunities to serve our customers better and faster. In the future, we will develop a flexible and efficient virtual queue service. 14. ARE EQUIVALENT SERVICES AVAILABLE ELSEWHERE (IN FINLAND)? Nowhere else is offering exactly the same type of service for different membership types with no reservations. In practice, your current membership will be valid as stated in your contract and it cannot be changed to a new type of membership in the middle of the membership period. You will be able to use the new services when your previous year of membership has expired or if you buy an entirely new membership. 16. IS IT POSSIBLE TO BUY A MEMBERSHIP FOR LESS THAN ONE YEAR? 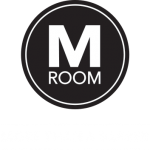 The new memberships are all for one year, but you can also buy membership online at mroomshop.com, where you can choose to pay using Klarna and select suitable monthly instalments to pay for your membership.